You are here: Home / Providers / Clyde H. Williams III, M.D. 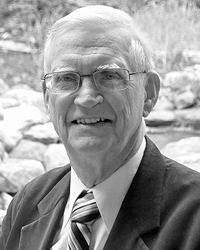 Dr. Clyde H. Williams is one of the founding partners of Colorado Springs Pulmonary Consultants. He is a board-certified lung doctor specializing in the diagnosis and treatment of pulmonary diseases. Dr. Williams has been providing state-of-the-art Pulmonary Care to the Pikes Peak Region for 30+ years. Outside the practice of medicine, he is a husband and father of two. He enjoys traveling.